Push and throw the enemy off the platform. Don’t fall! First to 9 wins. Use your arms to grab the opponent. Whoever’s head hits the spikes first loses. Platforms: Scirra Arcade, Windows 10. 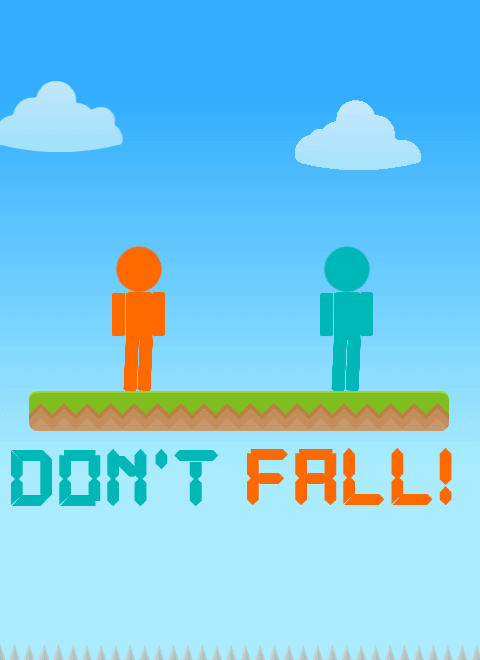 To promote Don't Fall! and grow its popularity (top games), use the embed code provided on your homepage, blog, forums and elsewhere you desire. Or try our widget. Naked maniacs is a local multi-player fighting game.